”Msgr Romero’s contribution has enabled Caritas to become today what Pope Francis called: ‘the caress of the Church to its people’. 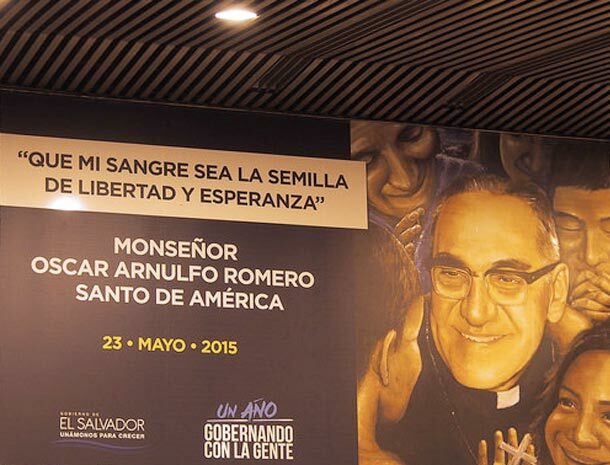 However, I believe we haven’t taken advantage of Msgr Romero’s contribution and legacy. Now we are faced with the challenge of raising awareness of him here in El Salvador, because he’s better known abroad as a great human rights campaigner,” Antonio Baños, the director of Caritas El Salvador, told me. I would like to take advantage of this opportunity to thank my colleagues at Caritas El Salvador who gave me such a warm welcome and facilitated my work. Gracias! A special thank you to Ilse, Ceci and Fabio.